Reviewing Hina Khan's Komolika stint after a week of runtime. In one of her recent interviews, I read how Hina Khan mentioned that she may actually have bagged Kasautii Zindagii Kay 2 because of her stint in Bigg Boss Season 11. Though she was talking about fashion and styling, however, people interpreted otherwise. I see it, I totally do. 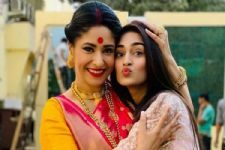 So, folks, the awaited 'nikaa' Komolika entered Kasautii this past week, and as it was obvious before her actual entry in the show, the lady was none other than Hina Khan. 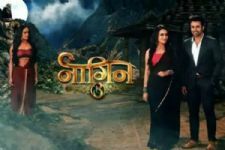 So, after a week of runtime, I try to narrow down on the kind of impact Komolika has made since her entry and how will it help the show and its future. As anticipated, Komolika's entry in her first episode was almost identical to that in the promo. Multiple men drooling over her appearance, walk, and of course the classic 'rolling of hairstreak.' Entering as a guest at the engagement of Prerna (Erica Fernandes) and Naveen Babu, she instantly was the talk of the town. Her character is placed well too, where it doesn't seem like forced upon just for the sake of adding intrigue, which the show needed desperately till now. As the daughter of a minister, Komolika is already famous for her beauty and her nakhras, but to see the same live, people are gaga about it. There is one thing where we say we were 'reminded of', but there is another thing called 'ripping off.' Komolika and Anurag's first encounter seemed like the writers went to see Kabhi Khushi Kabhi Gham and decide to steal a scene from the film. In fact, when Komolika utters the lines, 'kaun hai ye jisne mudkar muje nahi dekha', the buffs out there will instantly be reminded of Poo (Kareena Kapoor) from K3G. Not just that, Hina's Komolika is a lot like Poo - arrogant, bossy, self-centered, cunning but breathtakingly beautiful. Hell, she even has a trophy boyfriend who she controls at her command, just like Poo had Robbie when she wanted to make Rohan jealous in the film. These similarities are too uncanny to miss. If you have been an avid follower of Hina Khan only till her journey on Yeh Rishta Kya Kehlata Hai, then there is a chance you are bound to be having your jaws dropped watching her as Komolika. I, unlike others, will not be comparing Hina's act to that of Urvashi Dholakia's - because, the timeline itself is so parallel, that the characterization of Komolika has radically changed. In the first 5 episodes that we see, it is truly the 3rd episode that we see Hina having the maximum screen time during her scene with her apparent boyfriend. Not only is that scene, hands down the best scene of all the 5 episodes, it truly showcases Hina's Komolika and the actress' acting prowess. She is shrewd and to an extent and manipulative too. But, there is still a hint of practicality attached to her approach which makes you not entirely hate her. In fact, you may fall in love with her. I loved the break that was given to the character as she did not at all appear in the 4th episode, and that one focused on developing the Anurag-Prerna-Naveen storyline. It is important to understand what doesn't need to overdone even though it may have fetched better and that was a good relief in itself. There is a barrage of cliches, mannerisms and predictable traits to the NEW Komolika, but only Hina could have pulled it off so well that you still root for her. Hina looks drop dead gorgeous and she only elevates every surrounding, when she is in the frame. As Komolika, Hina has hit bull's eye, but our biggest complaint lies with the actual characterization and the presentation of the role, which is no fault of the actress. Needless to say, the show will certainly get the much-needed bump and interest that it needs. 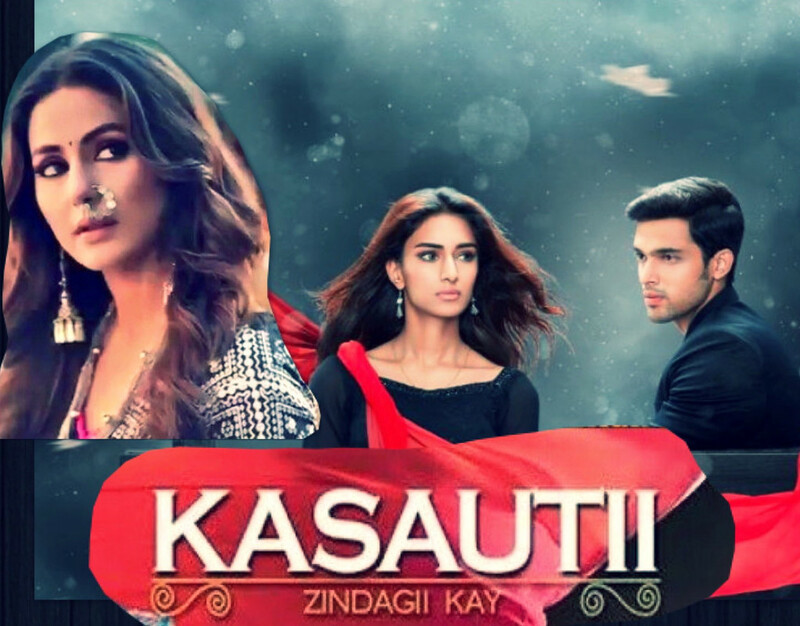 With Erica, Parth and Hina in one show and soon to be in one frame, Kasautii should hit the mark. What did you think of Hina's act as Komolika? Leave in your comments below..
#STYLEBUZZ: Erica Fernandes' fusion saree is chic and comfortable! 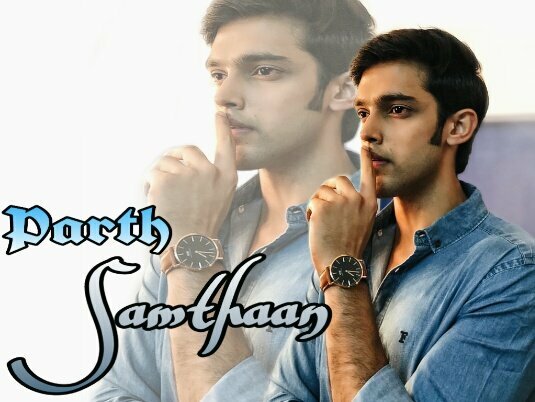 Hina is a good actor ..
Parth samthaan as Anurag is winning hearts.i watch Kzk all because of you Parth.. I haven't watched this show but saw Komolika's entry and whoa! I was surprised by Hina's transformation from Akshara to Komolika. I have watched the original n though no one can replace Urvashi as the ultimate vamp on ITV, Hina has managed to leave a mark of her own. N I can say this character is different from the one in original. For starters this Komolika is not a gold digger since she already belongs to a wealthy influential family herself. I only wish the dressing wasn't OTT but otherwise liked this new Komolika. This ADORABLE Video of AbRam and Yohan is Going VIRAL over Web!